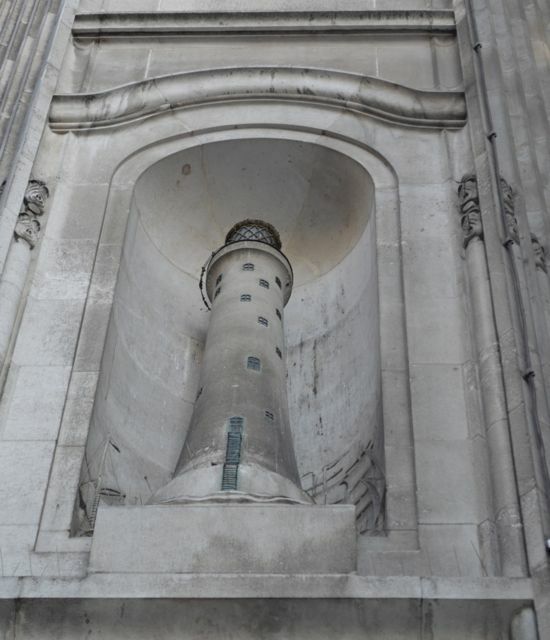 Stroll up Moorgate Street from the Bank of England, and about a third of the way along on your right, look up and, set into a niche in the corner of number 42, you will see a stone model of a lighthouse. This is because this was once the headquarters of the Ocean Accident & Guarantee Corporation which, through various takeovers and mergers, is now just a footnote in Aviva’s corporate history. The building itself was designed by Aston Webb, that great exponent of Imperial architecture and the man behind Admiralty Arch, Imperial College and the Brompton Road entrance to the V&A. 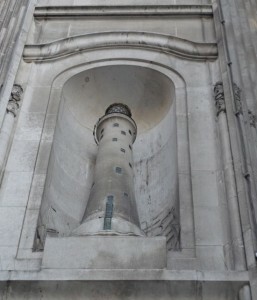 The lighthouse model is 15 foot (4.5m) high and in Portland stone, and the niche in which it sits is decorated with a frieze of ships in sail. 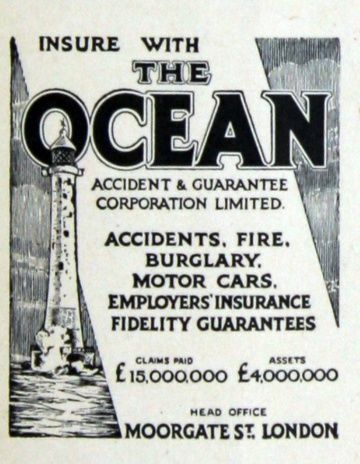 At one time the light even worked (although I can’t find out whether it flashed lighthouse style, or was just a steady beam) and I suspect that if Habib Bank, the current tenants of the building, spent a few quid to get that working again there would be general rejoicing. This entry was posted in architecture, london, The Blog on 26/01/2015 by donbrown. Great that the lighthouse is still there but what happened to the 190 foot frieze, the biggest of its kind in London? Is that still there?